ItemBARK_1990.0003.0665 - Unidentified Chinese woman; circa 1910. Item BARK_1990.0003.0665 - Unidentified Chinese woman; circa 1910. 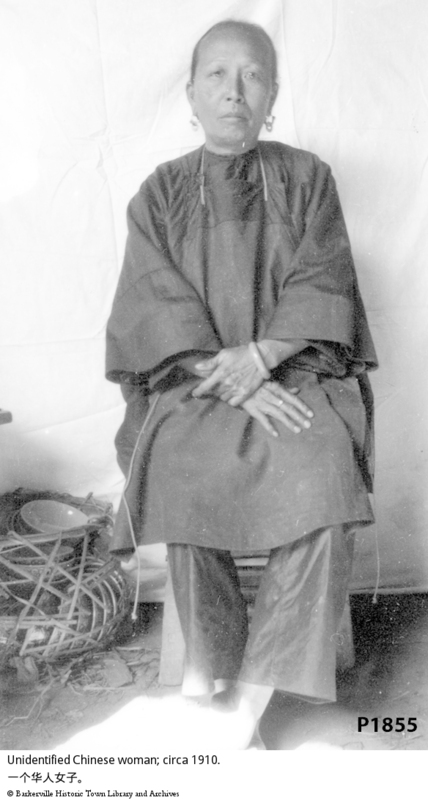 A Chinese lady, dressed in traditional Chinese clothes, sitting in front of a white, cloth backdrop. To the left is a loose wicker basket with Chinese bowls in it. See also P 1545, P 1546, P1855, P 1857, P 2219, P 2222.